This sweet boy lived to be almost 14 years old. 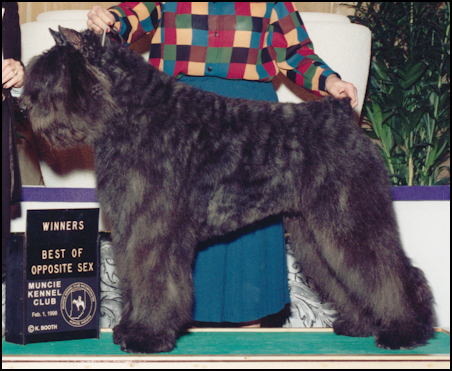 Always a charmer, Isaac was calm and gentle. 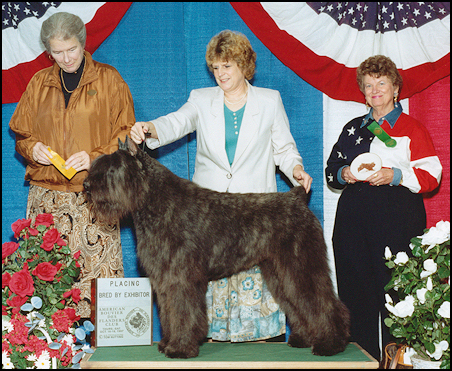 Isaac won Best Junior Dog at the American Bouvier des Flandres Specialty Futurity, Oct. 1997. 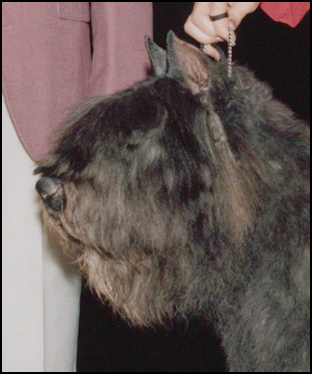 He also won Best Junior Puppy in Sweeps at six months old in Canada. 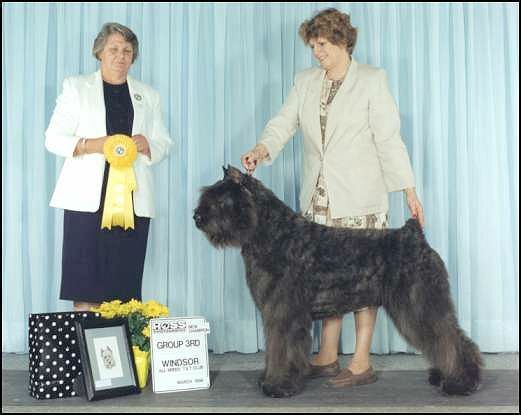 Isaac taking a Group 3 in Canada earning his Canadian Championship. 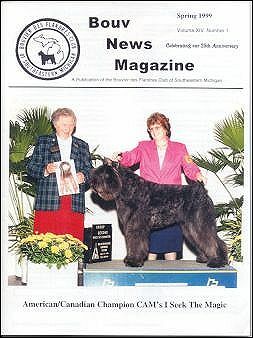 The next week end we went to Chicago International Club Dog Show and Isaac took a Bred-by-Exhibitor Group 2 finishing his American Championship.